That means you're probably trying to push directly to the PCSX2 master branch; which you don't have access to. Did you commit the changes to your local branch and push them to the local repo? 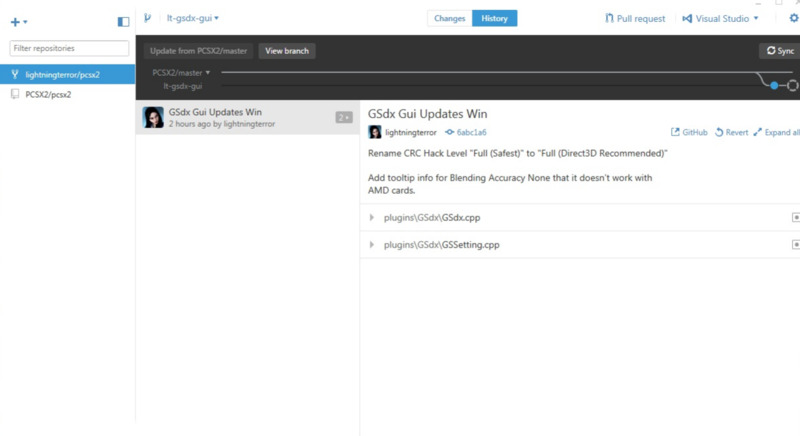 Also, are you using the Visual Studio addon or the Github application to manage your changes? I'm using the github application and yea I did try to push changes master branch , well not really master branch since I actually tried creating a separate branch on the main pcsx2 git site. Will a fork merge do? I took a look at your repo and saw that your working branch is named master. First, I would create a new branch that isn't named master, it makes the workflow alot less confusing when doing PRs. When creating a PR, your screen should look similar to mine. Here is the ss. It works on the fork repo but doesn't on the main one. 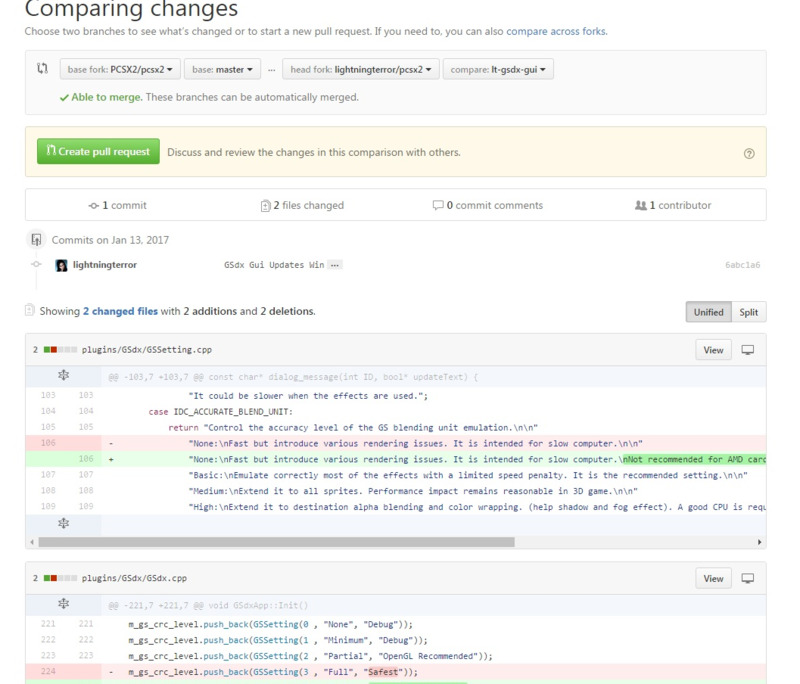 Check your repo on Github itself and make sure the changes you made are indeed pushed to your local repo. Yes they are , when I asked if I should make a fork merge that's what I meant like on the picture you showed. Yeah you should be all set. Note to self , never touch the master rep ever again. If by "rep" you mean "repository", then you probably meant "branch" instead. Also, it's very likely that you could revert whatever mistakes you made and bring it to how you want it to be. Not necessarily now, but you'd get there over time. One unrelated thing though, if you intend to make a big PR (like 1772), it's better to first ask other devs (here or on irc or you could open an issue on github and ask) whether your suggested change and approach have a "green light" to go ahead. Otherwise you "risk" working on it and then being rejected, like with that copyright year PR. FYI.